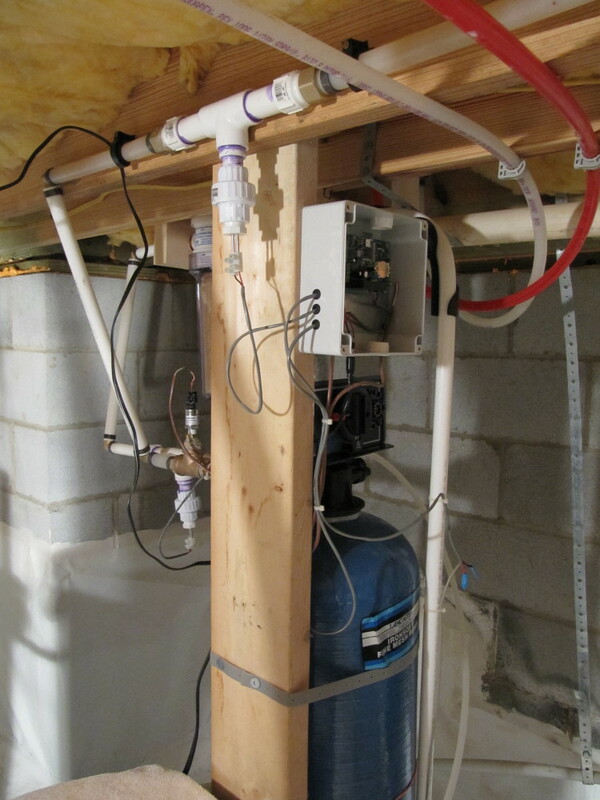 I’ve finally completed my water monitor project that began with the re-installation of the Water Softener at the House in the Woods. And, just for fun, monitor temperature and humidity in the House in the Woods crawlspace! All of this is achieved with a GREAT new module (RTX4100) that provides, in a package less that 1 sq inch, a WiFi radio (complete with TCP/IP stack AND built-in PCB antenna), a 32 bit ARM processor (separate from the radio processor), a whole bunch of configurable I/O options (including GPIO, ADC convertor, timers, etc. ), 24+KB of user program storage, and about 6KB of RAM, and 512 words of non-volatile storage. If you think this doesn’t sound like much memory, with this project I have implemented the Water Monitor data acquisition, control, and logging function AND included an HTTP mini-server (complete with NTP client) so that anyone can query the monitor from a standard browser. To the module, I added a temperature and humidity sensor, water hardness measuring circuit, water pressure gauge interface, connection to the water meter, interface to control and monitor the water softener cycling, and 32 KB of battery backed up RAM to log up to a week’s worth of samples in case the Intranet server is temporarily out of commission. 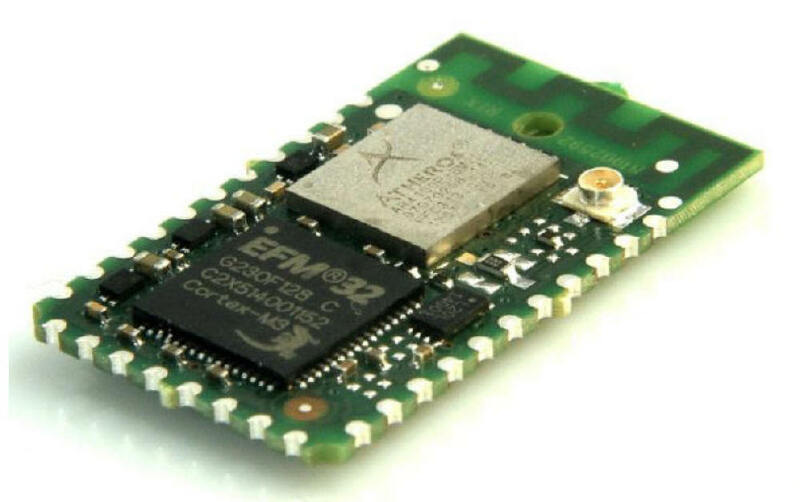 The module is only 18mm x 30mm including a built-in PCB antenna - it is a COMPLETE WiFi system! [img src=http://tomstudwell.com/wordpress/wp-content/flagallery/watermonitorproject/thumbs/thumbs_wmz_0002.jpg]10.6k0Here's the circuit board before mounting components. 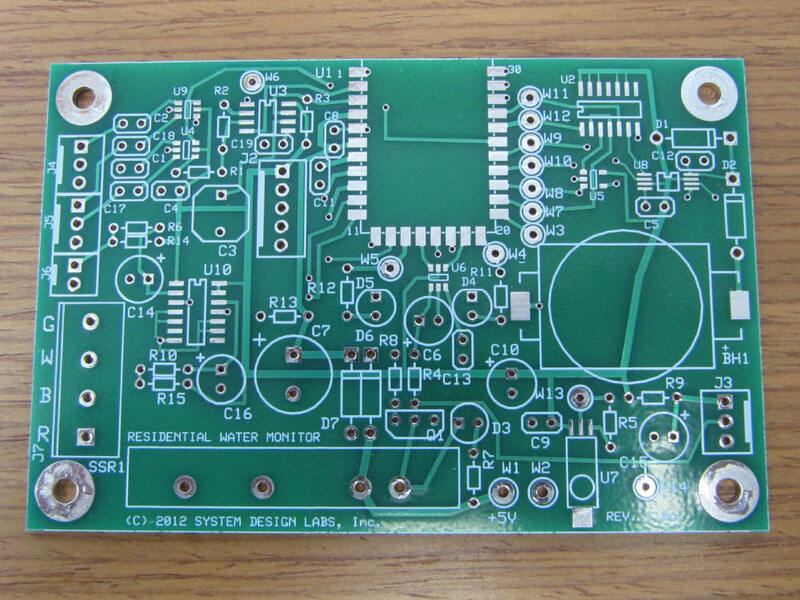 This shows the module along with the interface components that I added. 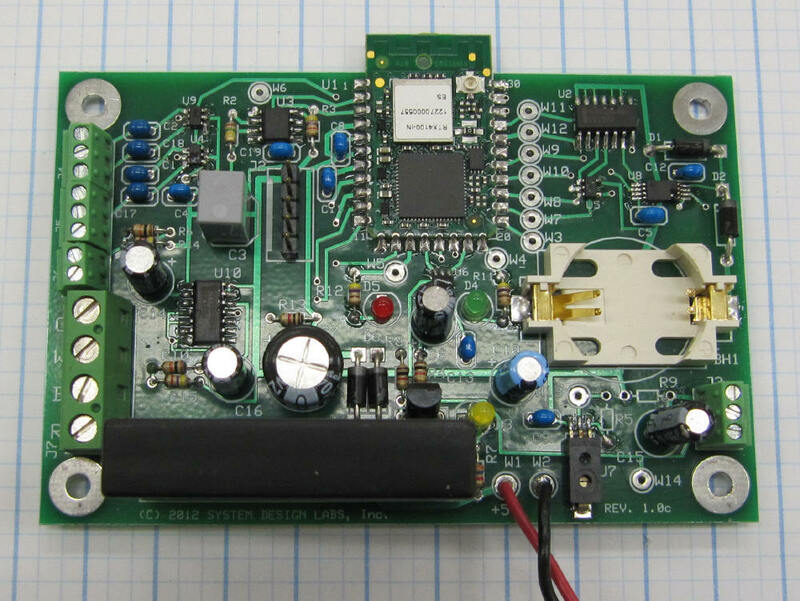 The battery is used to provide backup power for the 32KB of RAM used to log samples. The large black module is a solid state relay to control the Water Softener. [img src=http://tomstudwell.com/wordpress/wp-content/flagallery/watermonitorproject/thumbs/thumbs_wm_0002.jpg]10.5k0Here's a close up of the Water Monitor installed. [img src=http://tomstudwell.com/wordpress/wp-content/flagallery/watermonitorproject/thumbs/thumbs_wm_0003.jpg]10.5k0Here is the whole installation. 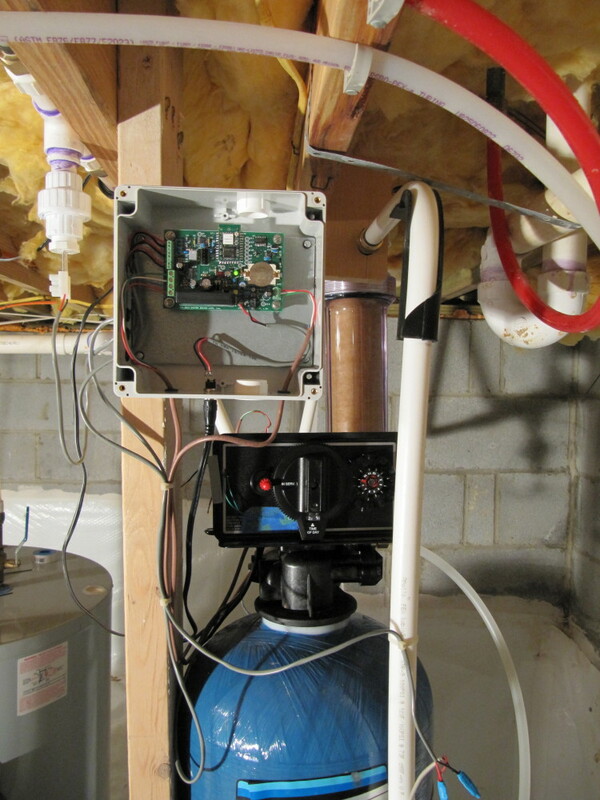 You can see the water hardness monitoring probes, the connection to the water softener, and the water pressure sensor. 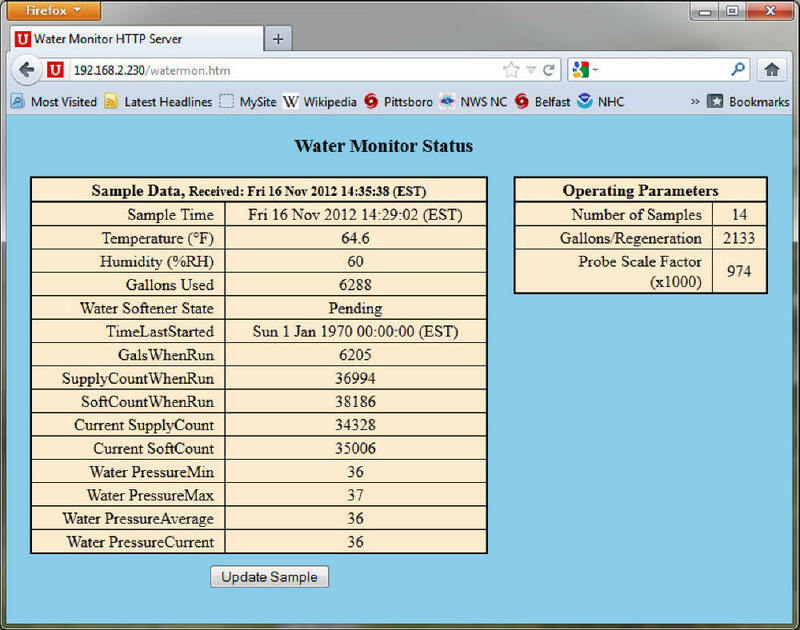 [img src=http://tomstudwell.com/wordpress/wp-content/flagallery/watermonitorproject/thumbs/thumbs_wm_0005.jpg]10.5k0Here's a look at the user interface after querying the info from the Water Monitor. The data on the left is the information that is saved with each sample. Sampling occurs at 10 minute intervals.